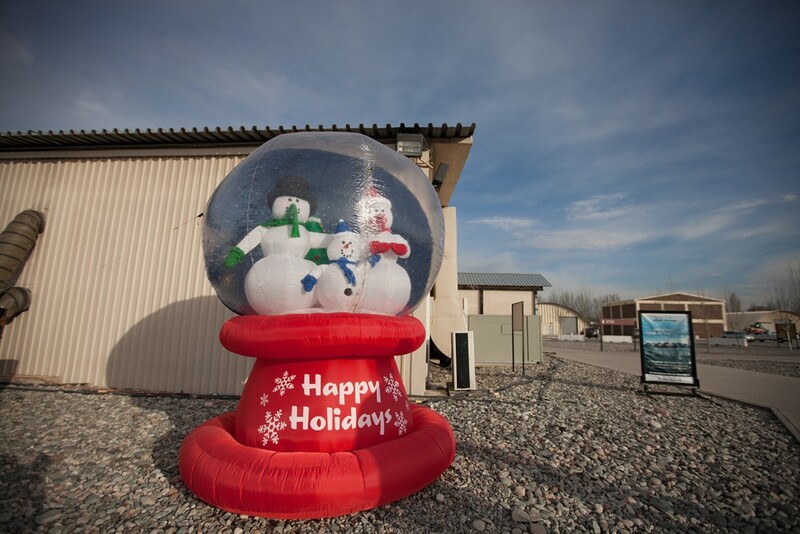 An oversized snow globe sits in front of the A'la Too dining facility at the Transit Center at Manas, Kyrgyzstan. Several service members deployed at the Transit Center at Manas, either based at Fairchild Air Force Base or with ties to Spokane, shared messages for their families with me last week. The video below is a collection of their messages. Some service members gave Christmas greetings, while others just wanted to say hello to their loved ones. The following service members appear in the video. Their names appear in the order in which they appear. See other posts and photos from the Transit Center at Manas here.